Manage your Pro Tools plugins. Is there a better alternative to PT Plug-in Manager? Is PT Plug-in Manager really the best app in Audio category? Will PT Plug-in Manager work good on macOS 10.13.4? 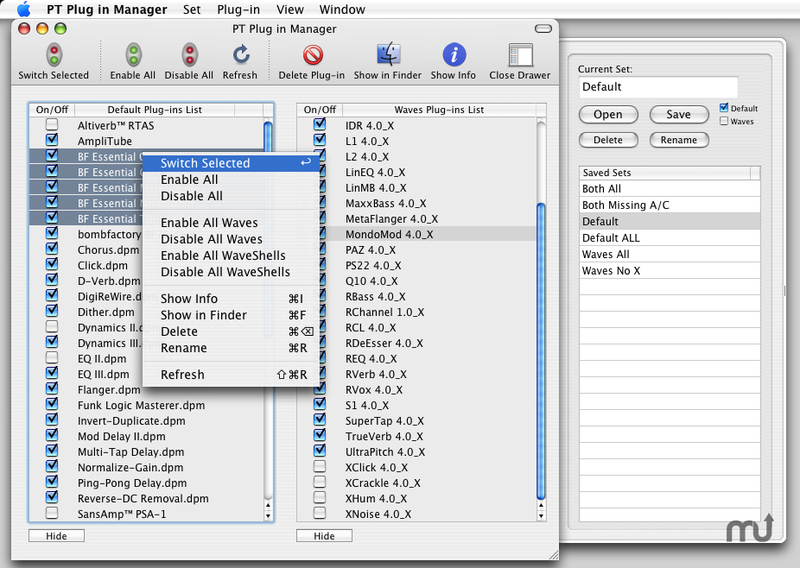 PT Plug in Manager is a little program for all Digidesign Pro Tools users who have the need to manage their plug-ins. With this little app you can disable and enable your plug-ins. It can also check version of duplicates and if you own a waves bundle, you can manage these waves plug-ins in the same window. Installing Protools Plug-ins by drag & drop. Enable/disable extra resources like omf and machine-control. And save and open sets of enabled plugins. PT Plug-in Manager needs a rating. Be the first to rate this app and get the discussion started!